The LG 6.3 cu. ft. Free-Standing Electric Range lets you spend less time cooking and more time enjoying your meals with LG True Convection technology. Don't worry about the mess, either. You can clean your oven in as little as 20 minutes without using chemicals or high heat. If you need a deeper clean, turn on Easy Clean self-cleaning mode. This is perfect for big families or after the preparation of a large holiday meal. 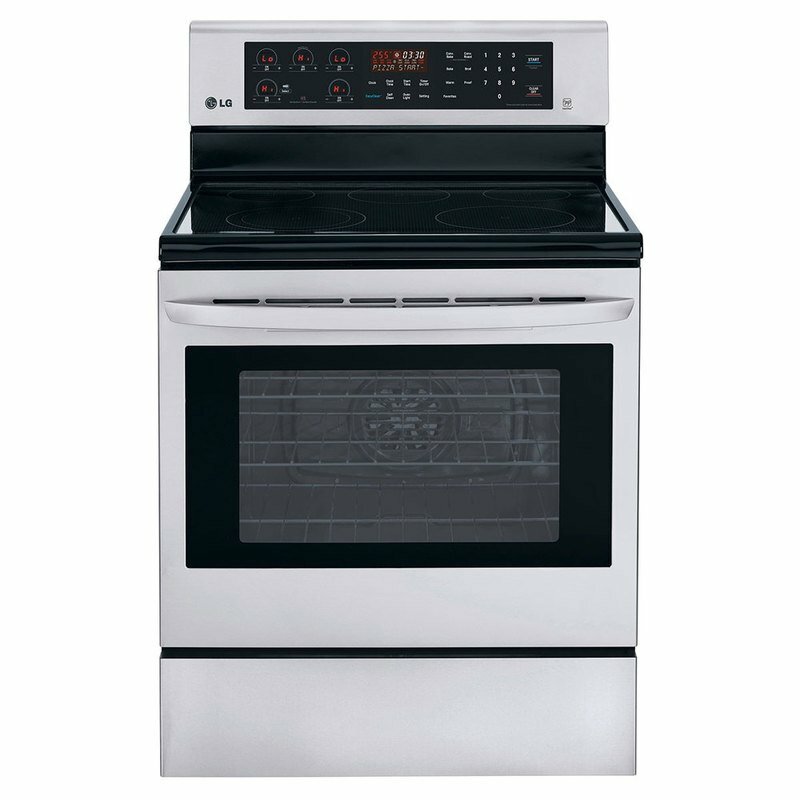 This unit not only has three racks in its electric oven, but it has the five cooktop range elements so you can seamlessly make a multi-course meal.